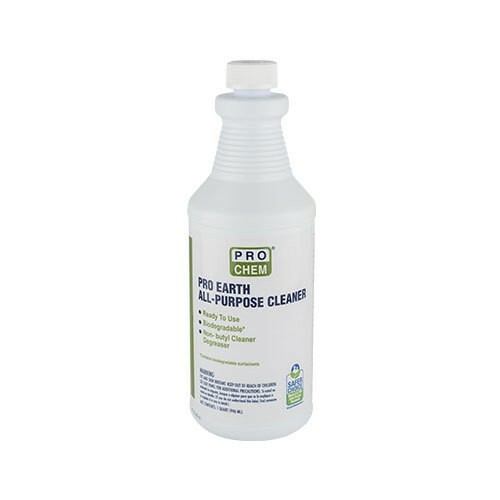 Pro Earth All-Purpose Cleaner | Pro Chem, Inc. This biodegradable formulation is based on a surfactant system with fast Dynamic Surface Tension, allowing for superior penetration and removal of oily/greasy soils. 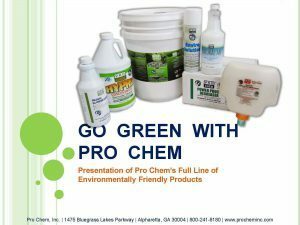 Containing no solvents, butyl, glycol ethers, with zero VOC’s and low odor, this product is superior to most non-butyl degreasers on the market and works as well as butyl-based products in heavy-duty industrial applications. The surfactant system is derived from naturally occurring sources. Spray, mop, or wipe on a surface to be cleaned. For heavy soil, allow the product to remain on the surface for several minutes. Rinse thoroughly with water.